A healthy roti that brings the flavours of Rajasthan with the goodness of maize and wheat, Try this recipe. 1. Combine the maize flour, wheat flour and salt. 2. Add in the ghee and rub with your fingertips till the mixture resembles bread crumbs. 4. Cover the dough with a wet muslin cloth and leave aside for 20 minutes. 5. Add all the remaining ingredients and knead well till smooth. 6. Divide the dough in 8 equal portions. 7. Roll out each portion into a circle of 125 mm. 5" diameter or a triangle of 6 mm. ¼" thickness using whole wheat flour. 8. 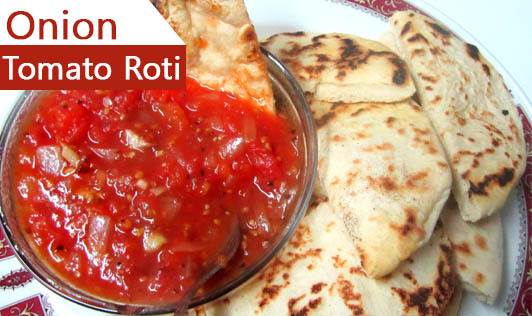 Cook each roti on a hot tava using a little ghee or oil, till both sides are golden brown.